Welcome to the CHP Used Marketplace. This website allows you to search and purchase used CHP units and power stand-by units at an extremely low administrative fee. Moreover, you can present and sell your own used CHP units. 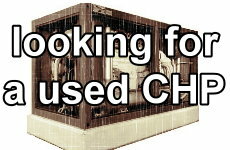 Are you looking for a used CHP Unit?. Take a look at our category „looking for a CHP-Unit“ (CHP Sale). Here you will find the current used units on offer listed according to their capacity/size. Would you like to sell a used CHP-Unit? 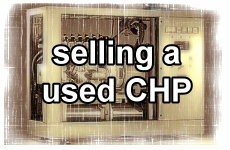 Take a look at the category „selling a used CHP“. A PDF-File can be downloaded, that will provide you with the necessary information about pricing and conditions and how to position your unit on our site. 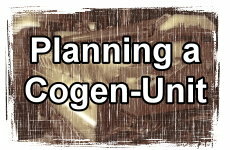 The button „Planning a CHP-Unit“ brings you to our Internet site „BHKW-Consult“. Do you require general information regarding block-type power units or combined heat and power-units? 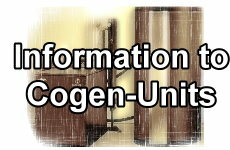 Check out the button „Information to Cogen-Units“ for more details.